In summary, the Chamber believes that, notwithstanding the fact all the relevant requirements are met as regards both jurisdiction and admissibility, the current circumstances of the situation in Afghanistan are such as to make the prospects for a successful investigation and prosecution extremely limited. Accordingly, it is unlikely that pursuing an investigation would result in meeting the objectives listed by the victims favouring the investigation, or otherwise positively contributing to it. It is worth recalling that only victims of specific cases brought before the Court could ever have the opportunity of playing a meaningful role in as participants in the relevant proceedings; in the absence of any such cases, this meaningful role will never materialise in spite of the investigation having been authorised; victims’ expectations will not go beyond little more than aspirations. This, far from honouring the victims’ wishes and aspiration that justice be done, would result in creating frustration and possibly hostility vis-a-vis the Court and therefore negatively impact its very ability to pursue credibly the objectives it was created to serve. Linking: Connecting or joining something to something else. Linkage: The action of linking or the state of being linked. In my previous post I drew a comparison between what little we know about the US Special Counsel Robert Mueller’s Report and what might be a useful lesson for ICC Prosecutor Fatou Bensouda, namely, that it is best not to charge unless there is reliable and relevant evidence for a conviction — not just when there is sufficient evidence to charge. We have moved from the heady cosmopolitanism of the 1990s and its post-Cold War institution-building to a period of tribunal and law-making fatigue, along with resurgent nationalism and its emphasis on impermeable sovereignty. We should be slow to ask for the Court to be reshaped to reflect present realities, as such as a Court would likely be a hollowed-out, pointless shell. At the same time, it is dangerous for a legal institution to get too far ahead of the surrounding political environment. The ICC perhaps reflected the zeitgeist of its time – the idea that the promise of law is that power should always be accountable; nonetheless, that may make it the wrong court for these times. It is hardly a revelation that political and accountability pressures are seducing heads of once enthusiastic ICC club-joining States (such as the Philippines) to reassess, reprove, and retreat — taking their toys and going home, or, as it were, putting their head in the sand and indulging in self-delusion: by withdrawing from the ICC so as to disappear allegations of crimes falling under the ICC’s jurisdiction. Hardly sound thinking. Crimes once committed no more disappear than does the need for accountability. Walking away from the ICC does not end the story. It may hamper the ICC in completing its investigation, it may frustrate it from making arrests and prosecuting those charged with crimes, and it might add more chinks in the ICC’s already battered armor, but un-signing the Rome Statute and exiting from the ICC’s Assembly of States Parties is not going to sound the ICC’s death knell. The way the ICC is carrying on, unless it mends its ways, that is a job it will do for itself. Attorney Bryan Miller recently commented on my post Pompeo’s thuggish threats against the ICC: a Trumpian call or electioneering hyperbolic fodder? Occasionally, a comment comes along that demands more than just a brief response. This is one of them. For convenience, Bryan’s comment and my response appear back to back. 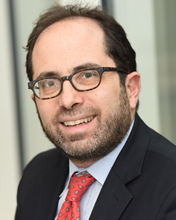 Author Michael G. KarnavasPosted on 2019-03-18 Categories ICC, International Criminal LawTags ICC, International Criminal Law2 Comments on Pompeo’s thuggish threats against the ICC: a Trumpian call or electioneering hyperbolic fodder? The ICC is not a usurper: but is it inching towards being one? But, Excellencies, Ladies and Gentlemen: any fear that the ICC is a usurper of national sovereignty proceeds from a clear misunderstanding of the nature of the ICC’s jurisdiction. That fear may indeed be implicated in the reluctance of some States to ratify the Rome Statute, as has been expressed around the world, where ratification has not yet taken hold. But, even for the more able States, the ICC remains valuable – not as a usurper of sovereignty – but as a mirror of conscience. Such is the case where political will appears a little shy to address the needs of justice, behind the veil of sovereignty. It is noted in this connection that war crimes do occur in almost every war. And the culprits can come from the rank and file of the most disciplined and professional armed forces in the world, in spite of the best efforts of their commanders acting with unimpeachable good faith. International Criminal Court (ICC) President Judge Chile Eboe-Osuji addressed the United Nations (UN) General Assembly on 29 October 2018 with one overarching aim – to assuage the fears of many States and non-States Parties who view the ICC with alarm and skepticism as an organic international judicial institution that aspires to exercise jurisdiction well beyond the narrow contours of what the States Parties had agreed to when signing on to the Rome Statute. 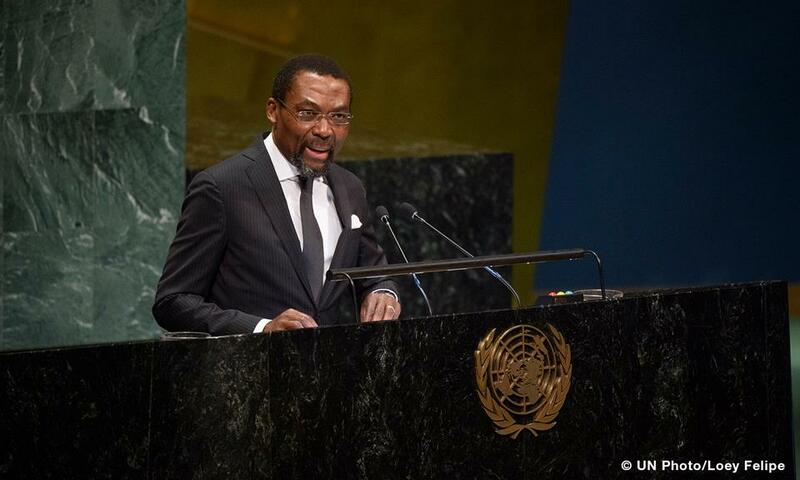 Measured, with generous usage of memorable quotes (one of his characteristic trademarks) and a whiff of thou doth protest too much, President Eboe-Osuji’s speech reads like an oblique response to US National Security Advisor John R. Bolton’s criticism of the ICC (see here). Author Michael G. KarnavasPosted on 2018-11-05 Categories ICC, International Criminal LawTags ICC, International Criminal LawLeave a comment on The ICC is not a usurper: but is it inching towards being one? Following the previous post on the Majority’s reasoning in finding that the ICC has jurisdiction over the alleged deportation of the Rohingya from Myanmar to Bangladesh, let’s look at Judge Marc Perrin de Brichambaut’s Partially Dissenting Opinion. It exclusively deals with the Majority’s analysis of its legal basis for entertaining the Office of the Prosecutor’s (OTP) Request. You must put no man on trial under the forms of judicial proceedings if you are not willing to see him freed if not proved guilty…the world yields no respect to courts that are merely organized to convict. 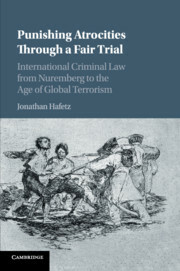 If asked to recommend three books to a newly-minted judge at any of the international(ized) criminal tribunals or courts, but especially at the International Criminal Court (ICC), Jonathan Hafetz’s Punishing Atrocities Through a Fair Trial – International Criminal Law from Nuremberg to the Age of Global Terrorism (Punishing Atrocities) would be one of them. Indeed, I would suggest it as essential reading for judges, prosecutors, defense lawyers, and any judicial staff. I would also recommend Punishing Atrocities as obligatory reading for any introductory courses on International Criminal Law (ICL).